Nikki enjoys every aspect of her job and is a valued and important member of the My Wealth Solutions team. She has a great attitude, striving for professionalism, accuracy and exceptional quality in everything she does. Nikki graduated from the Queensland University of Technology in 2013 with Distinction, majoring in Finance and Accounting. Having started her role at My Wealth Solutions during university she gained hands-on experience early on, aiding with translating technical knowledge into practise. In 2014, she obtained her Diploma in Financial Planning and in 2015, a Certificate IV in Finance and Mortgage Broking. 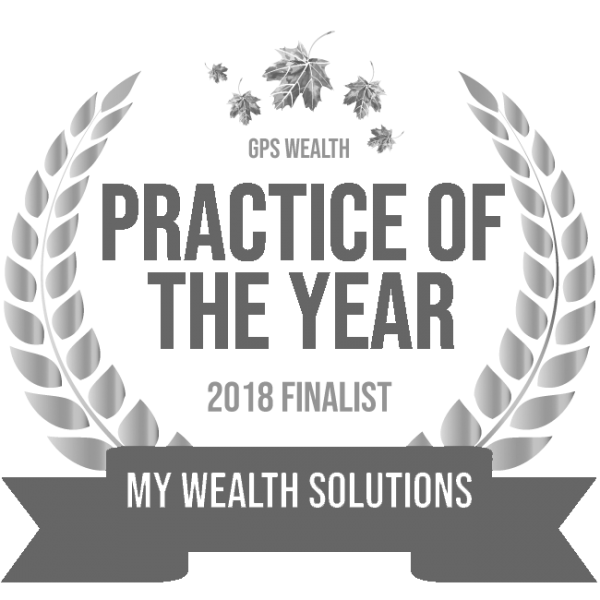 As of 2016, Nikki is an Authorised Financial Adviser and Credit Representative of GPS Wealth and aims to continue to develop her technical knowledge and eventually specialise in wealth management. As a Financial Adviser, Nikki is always looking after her client base, ensuring her current clients are hitting their goals while continuing to develop her personable approach to financial planning. Striving for completeness and accuracy, she aims to educate and promote thorough understanding throughout the entire process for all her clients. As a keen listener, she will always take the time to hear your stories and experiences before deciding on an appropriate way forward for your personal circumstances and financial position. Outside of work she loves reformer pilates, aerial yoga and boxing. On weekends you’ll find her heading out for nice dinners and sharing a bottle of red with her husband. She will always gravitate towards the outdoors on the weekends whether it’s getting around the pool, around Brisbane, travelling back to Toowoomba to see the family or heading to the coast to see friends. What’s your favourite thing about being part of the MWS team? The different personality types and diversity of the group. Everyone has something new and unique to offer to the boutique firm, which tends to make for an interesting environment and makes you appreciate different perspectives. Despite the individuality, everyone really gets along and is prepared to go the extra mile to help each other out. What do you wish people knew about financial planning? It’s never too early to get started and it’s never too late to get help. You don’t need to feel embarrassed or discouraged by your current financial situation as there are always ways to make improvements upon what you start with and map out a suitable pathway for progression. What's your favourite book, movie and food? Book: The Big Short by Michael Lewis, The Brain That Changes Itself by Norman Doidge, The Power of Habit by Charles Duhigg or The Richest Man In Babylon by George S. Clason. If you could give one piece of advice to the Nikki from 10 years ago, what would it be? Embrace every opportunity life throws your way as life is too short not to and always try to find balance in all aspects of life. What's your weirdest office habit? For some reason, computers and technology tend not to work for me. Others in the office have noticed that their computers start playing up when I’m around. I also must have a 2PM coffee everyday without fail. What's the one thing about you that people would be surprised to learn? I love heights and adrenaline type sports. Whether it’s getting to the top of a mountain, climbing to the top of a viewpoint, diving, jet skiing, etc. I’m generally prepared to try everything at least once. If you could have dinner with anyone past or present, who would it be and why? Warren Buffett. As one of the most successful investors of all time, I have studied and read a lot about his history, his success and his investment philosophies over the years and I would love to learn from him. He is also notably humble, pledging most of his wealth to charities, which makes him even more admirable. The team at My Wealth are fantastic. They are easy to talk to while being up front and honest with their advice. The fee structures are easily explained and importantly they are always available to give advice or provide information. Ben, Nikki and Jessica are not only knowledgeable but also friendly, approachable and efficient. After 20 years of working, we had no real direction when it came to planning for our financial future. After deciding to visit My Wealth Solutions, we now have achievable financial goals and we couldn’t be more confident that the strategies employed will ensure a comfortable retirement. The MWS team took the time to understand our current financial situation, needs and wants…Guy and Nikki…explained all aspects of their advice in a clear language that was easy to understand. The my wealth solutions team have been extremely helpful over the last couple of months whilst setting up our investments. Nikki and the team always get back to us promptly when we have questions. Thanks for the fantastic support! Nikki and the team at My Wealth Solutions have been wonderful! They have made me feel so much better about how my finances could look in the future with the advice and guidance they have provided. I have already learnt so much and I look forward to their continued support well into the future.